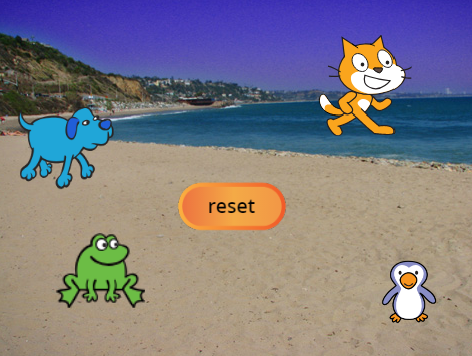 Explore and modify this very simple activity using different events to make things happen. Explore the events that are used to make the boys dance. Code includes loops – not suitable for remixing at this level. 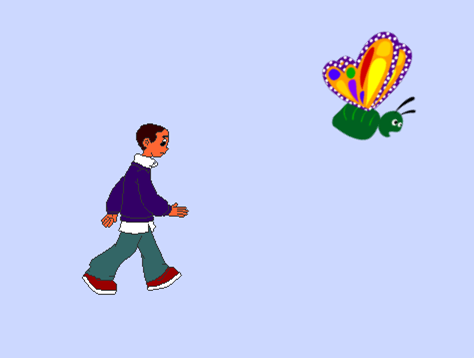 Explore what happens when you press space bar or click on the sprites. Modify to change the actions. Explore the code to make the dinosaur draw and change pen colour. Uses ‘broadcast message’ blocks. 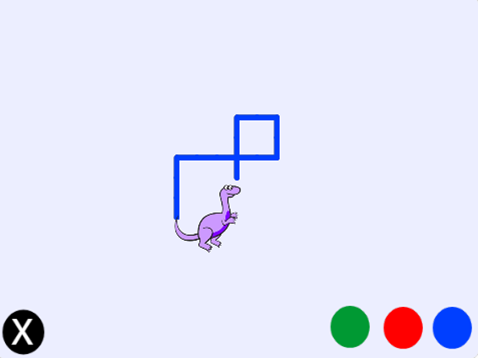 Add the code to move the dinosaur in all directions and to change the pen colour. Uses ‘broadcast message’ blocks. Explore the code that plays music when the stars are clicked. 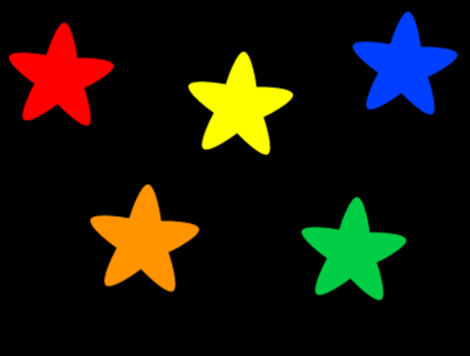 Complete the code for the blue star. Find and correct the bugs to make the activity work properly. 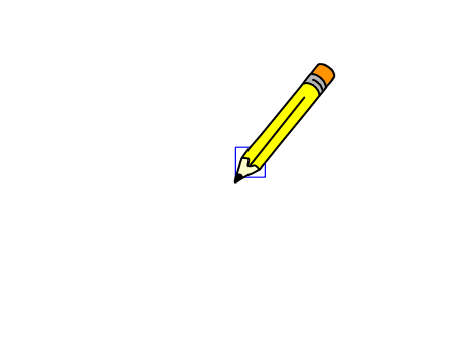 Explore different events to control the pencil to draw. Find and correct the errors in this drawing program. Some code is provided for students to add to in order to make a working program.